Scholarships Matter is a series of stories highlighting students in the College of Arts and Sciences who have received and been impacted by scholarships. The student featured in this story is the recipient of two College-wide scholarships, the Leopold and Stella H. Loeb Scholarship and the Walton Harris Hill Scholarship. Scholarships like these are made possible by generous support from our alumni and friends. Junior Kelsei Coleman wouldn’t have made it past her freshman year of college if it weren’t for the help of college scholarships. At first Coleman turned to federal aid for support but because she was raised by her grandmother—and not formally adopted—there were complications in the application process. Coleman said that she and her grandmother turned to the University’s payment plan in order to break up her student bill month by month—and still they were required to pay $999.99 a month for the entirety of her freshman year. It was money they just didn’t have, but Coleman had her heart set on UA, and she knew it was too late to get accepted to another school, so she and her grandmother did everything they could think of. Coleman said she cried and prayed a lot, and then she came to Clark Hall in the hopes of finding some way to stay. Coleman said she learned about the University’s scholarship portal and she talked about her situation and her work as a student. Then she left. Two weeks later, her grandmother received a letter from the University in the mail, and it was about Coleman’s new scholarships—the Leopold and Stella H. Loeb Scholarship and the Walton Harris Hill Scholarship. Coleman could stay. And, as of now, neither she nor her grandmother pays anything out of pocket. Coleman is a political science major with minors in international studies and communication studies. She wants to pursue a Juris Doctorate and a Master of Business Administration so that she can work as an in-house lawyer for a corporation. Eventually she would like to serve in public office. Since she has been at UA, Coleman has worked at the Crossroads Cultural Community Center and has served as an ambassador for the College of Arts and Sciences. One day she hopes to be able to create a need-based sustainable scholarship like the ones that helped her through school. The Leopold and Stella Loeb Endowed Scholarship Fund was established in 1998 from gifts given by Robert Loeb to honor the memory of his parents, Leopold and Stella H. Loeb. Priority is given to full-time undergraduate students in the College of Arts and Sciences who have a minimum grade point average of 3.0 on a 4.0 scale in order to alleviate financial hardships. The Walton Harris Hill Scholarship Fund was established in 1976 from gifts given by Mrs. Marjorie Kohn to provide assistance for needy students enrolled at The University of Alabama.  Scholarships from this fund are awarded to full-time students in the College of Arts and Sciences with financial need and a grade point average of at least 2.5 on a 4.0 scale. Recipients must be residents of the state of Alabama.